one of the few herbs to flower early in Spring. I came across a website called PhotoNaturalist, and I could quickly connect with it. The title is apt for something I and many of us like doing, as a hobby or profession. It is an excellent website for beginners in nature photography, having articles on how-to-shoot in the field. When you get a camera, it is difficult not to photograph landscapes, waterscapes, flowers and nature in general. Within no time, the hobby can transform into a passion – not merely towards clicking, but observing. This is basically what nature photography is. It is careful observation of nature through a lens. 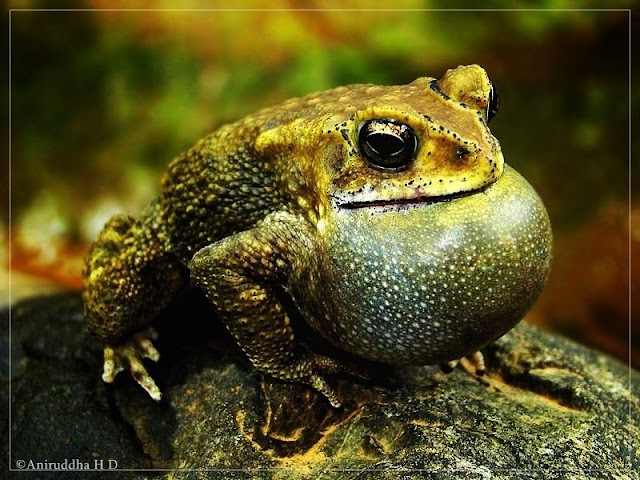 Common Indian Toad - Duttaphrynus melanostictus, a male calling for a female during Monsoon. Once a common toad, it is almost extinct from urban areas. A photonaturalist is someone who uses camera as a means to learn. Whether it is a 3x optic digital camera, a 20x zoom camera, or a DSLR with 800mm lens, it’s never too late to get involved in this passion. The evolution of camera from film to digital has been of tremendous help in increasing our interest in nature. Add access to internet, and we get a plethora of knowledge easily available than some research articles. No wonder this genre of photography is still growing, attracting many more – young and old, engaging voluntarily into nature and wildlife that will help spread the message of conservation even more strongly. If you are a beginner, there are many questions that need to be answered first. Cameras and equipments aside, first things a photonaturalist would explore is his or her backyard. This backyard extends to the nearest woodland from wherever you live. It often starts with nature photography, where more emphasis is on photographing, than nature watching. 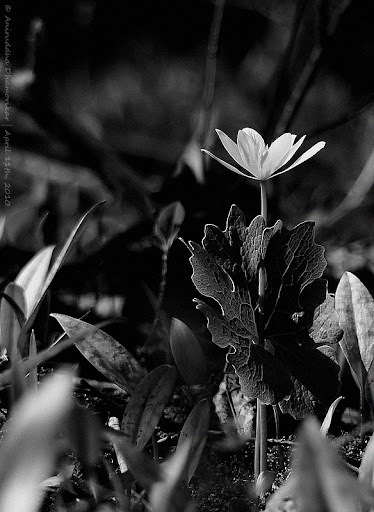 A photonaturalist balances both, for instance if you are out in the field photographing a wildflower, one will make sure that minimum or no damage is done to the surrounding as trampling other flowers is very likely in some situations. Likewise, knowing the subject – or identifying it later – is also very important since this is one way to learn about the subjects, whether you are an amateur naturalist or an expert. I might say nature photography is different than being a photonaturalist, which, logically speaking, mean the same thing. 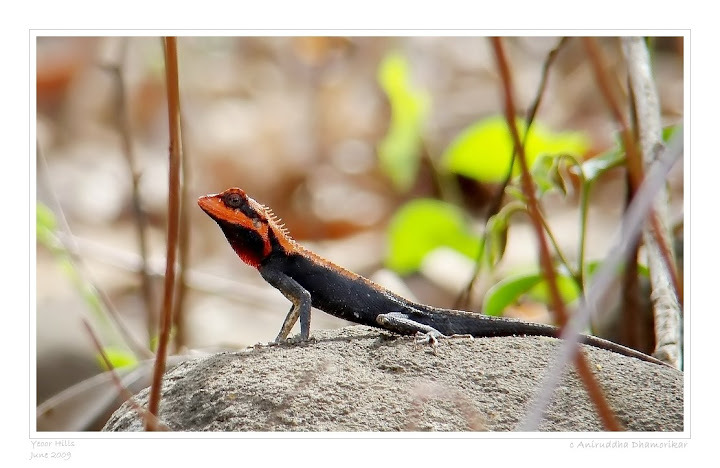 I am neither distinguishing the two nor criticizing one from the other, since if you are a photonaturalist, you are a nature photographer, but as I already mentioned, nature photography is often weighed on photography, whereas a photonaturalist would be careful with the subject in question. This brings the ethics of wildlife photography to my mind. Curiosity is one of our biggest traits, but it may land you in trouble if you, out of curiosity, approach a wild subject too close, such as bird nests, for instance. It is best to be as far as possible from such vulnerable subjects, since the parent birds might consider you a threat and abandon the nest forever. Wildlife photography ethics however, can sometimes be debatable, such as baiting owls with domesticated mice, just to get an out-of-the-world photograph. Some consider it unfair and interfering in natural food cycle, some might consider it humane since it’s just “feeding” an owl, often ignoring the fact that it is wild and can survive with its natural skills. It is also of concern to invade wildlife protected areas, merely to see a family of tiger cubs. I accept the fact that it is often overwhelming to see this threatened animal’s family, but simply parking ten vehicles around a tiger is not a healthy habit. It reminds me of the quote ‘curiosity killed the cat. Literally’. Although this has never happened, we cannot deny the fact that stress can kill an animal within no time, or push it to the limits that it never visits a waterhole and dies of dehydration. An early instar of a Plain Tiger - Danaus chrysippus butterfly ingeniously feeds on the toxic milkweed Calotropis gigantea. It carefully bites the middle of the leaf, so that the toxic milky sap flows out. 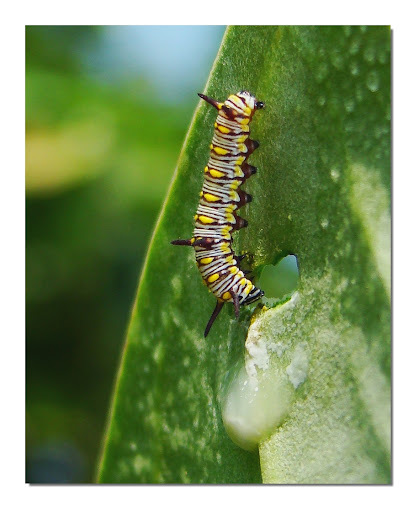 Once most of the sap is out, the caterpillar can easily feed on the less-toxic parts. As it matures, they become more and more tolerant to the toxins, thereby consuming it easily. That being said, if you merely enjoy photographing nature, you will find wonders in your backyard itself. It’s fascinating to see documentaries of rare animals or behaviors shot in a backyard or a nearby wildlife park, taken by nature photographers who share the information with the world – be it a new bird in your backyard, an invasive insect or a rare species of ant. It is the best means of getting closer to nature and respecting it. This little step can have a significant impact on how we do our part in conservation – by starting from our own backyard. There are many resources on how to garden your backyard with native plants, how to create a butterfly garden or attract birds. If many of us engage in such a hobby, it will be a lot easier to save vanishing species such as House Sparrows in India and Gold Finches in Canada, ultimately leading a way to conserve top-of-the-food-chain animals like tigers and elephants by increased awareness. Be a photonaturalist. Respect the environment with as much care as you would your camera. “You don’t take a photograph, you make it”, quotes Jonathan Klein. A TED talk worth watching. thank you so much for sharing about being a photonaturalist and the photo talk by Ted. That talk was very moving and inspirational! !